When preparing to take your written test for your Driver’s License, you’ll come across a list of road signs you’ll have to learn. Some of them such as STOP and Yield are universal and known to drivers from around the world. You must memorize these and all the ones listed in the booklet in order to pass the test. However, there are some unusual and funny road signs that can be found not only in the United States but also in other parts of the world that we’re sharing now in the Knowledge Center and we’re certain will put a smile on your face. It’s a fact that Australia is a different country with unique fauna and flora. 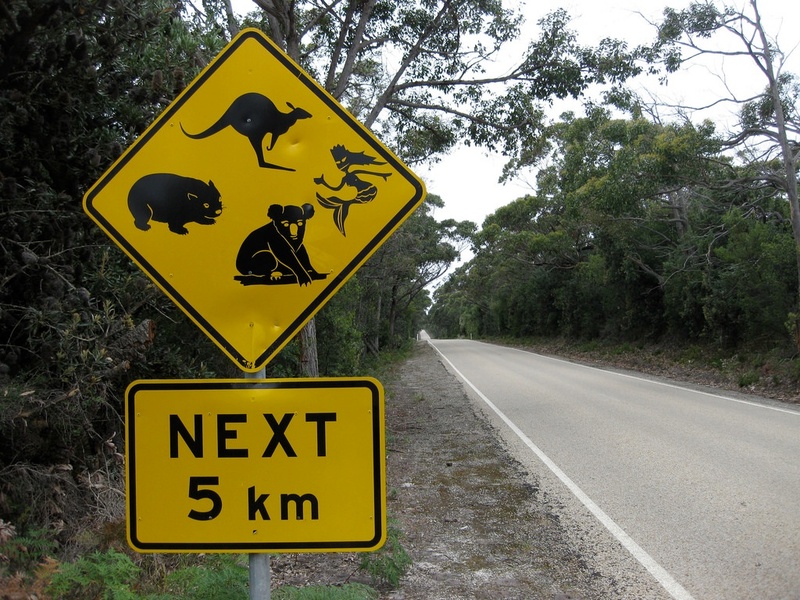 That’s why it’s not surprising to find unusual signs when driving on the roads from down under. In the United States, you will most likely come across signs warning you about deer or cattle on the road. In Australia, on the other hand, you’ll be informed about possible koalas, kangaroos and… mermaids? 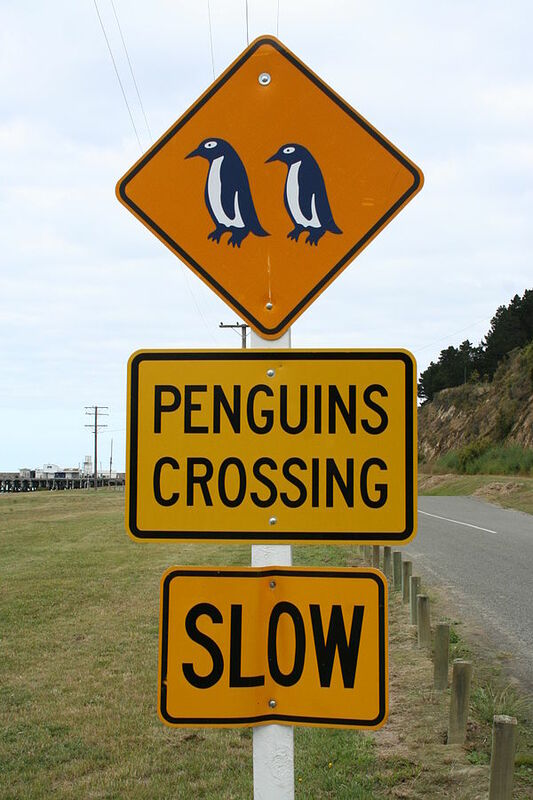 Australia’s neighboring country could not stay behind in this competition of funny road signs, but instead of koalas and Tasmanian devils, if you drive in the South of Island of New Zealand, you will most likely find signs referencing possible penguins to be found on the road. 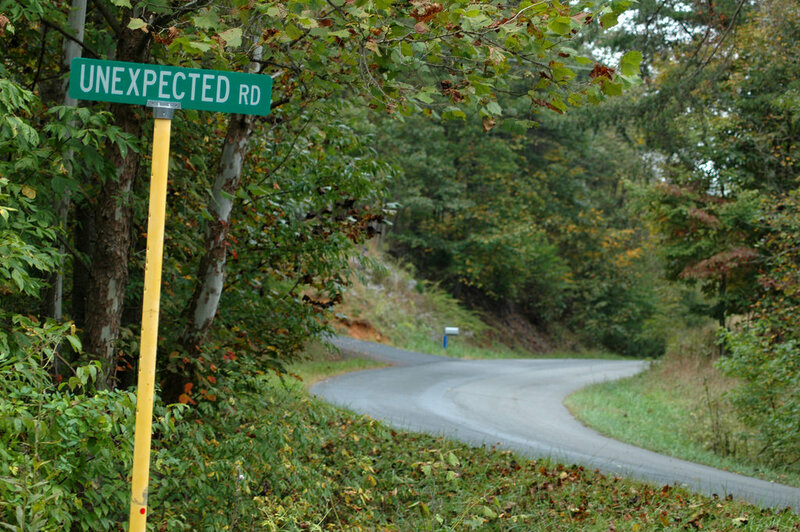 3.All roads lead to something… unexpected? And when you least expect it, you’ll come across an unexpected sign. While at Infinity Insurance we’re not certain about the origin of this sign, one can only assume that it happened without any prior planning and hence, they had no time to come up with a better name for this particular road. 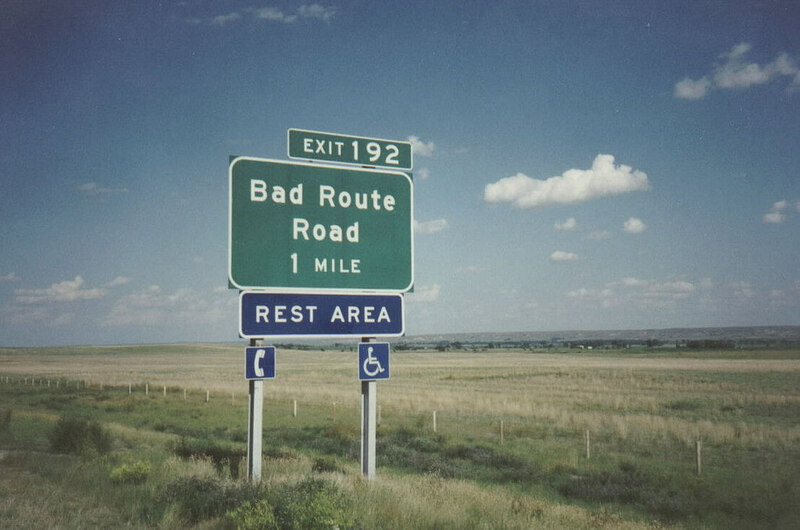 Imagine for a second that you’re on the highway, enjoying a road-trip with your family when suddenly you come across one of these signs stating that you’re on a “Bad Route”. Clearly, that’s a sign –pun intended- you should turn around and look for an alternative way to reach your final destination. If you’re thinking of visiting Boston and driving around town, it’s recommended that you spend some time understanding their traffic signs. As you can see from the photo above, the signage can be a little confusing, especially if you’re not from the area. 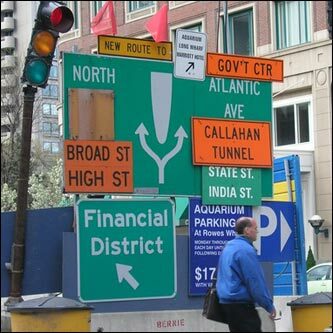 Whether you’re in Boston or any other city around the world, always pay attention to road signs. Would you know where you’re going looking at this sign? 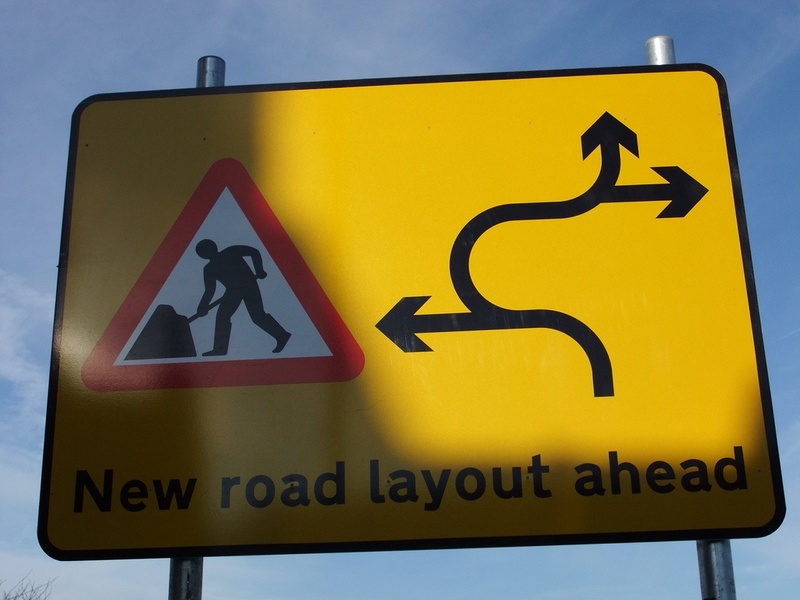 It can be found in the United Kingdom and based on what’s explained, they’re working on improving the layout of the roads in the area. 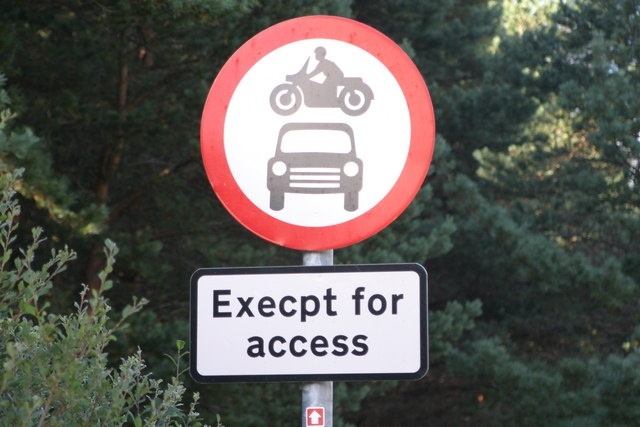 But we’re not sure whether this sign will actually help drivers or, rather get them more confused. What do you say? 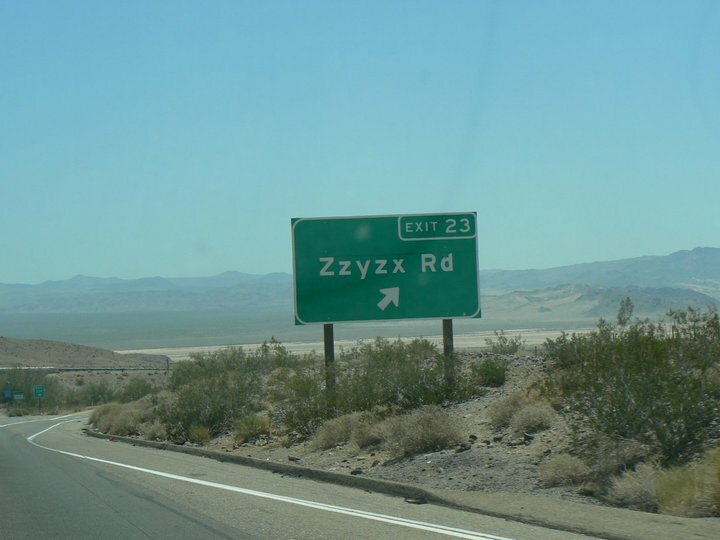 If you’ve driven from Southern California to Las Vegas, it’s very likely you’ve come across this sign before. Have you ever tried to pronounce it? While at Infinity we’re not sure about the origin of this name, we can only think they wanted to play a game with the last three letters in the alphabet “xyz”. Certain towns take speed limits very seriously and, as you can see on the photo, this might easily be one of the most unusual road signs to be found. 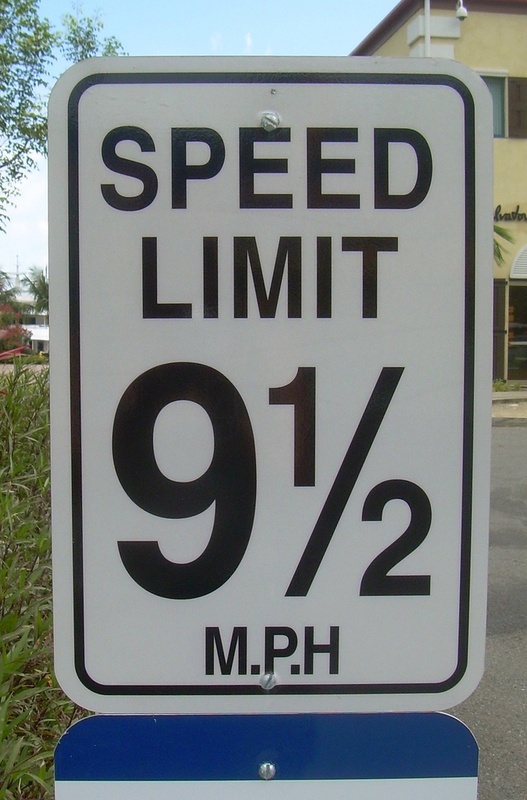 The speed limit is 9 ½ miles per hour, and while we don’t know how they came up with that ½ limit, if you come across this sign while traveling, be sure to keep your speed limit below that precise number! Even the best traffic indications can have errors… But they come in handy to help complete this list of funny road signs. This is a clear example of a rushed production that not only is incoherent but comes with a typo as well. What did you think of these funny road signs from around the world? As a reminder, whether you’re driving in the United States or any other part of the world, you will need auto insurance. Speak to an agent today by calling 1-800-INFINITY to receive a quote. You may also do so by visiting our website.